Free Shipping Included! 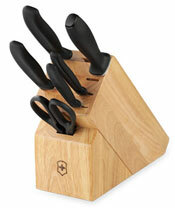 Save 1% on the Victorinox Swiss Classic 15-Piece Cutlery Block Set by Victorinox at Sara Stage. MPN: 6.7000.15US1. Hurry! Limited time offer. Offer valid only while supplies last. Victorinox Swiss Army has been making legendary Swiss Army Knives since 1897. Guess what we made before that. When Karl Elsener created the first Swiss Army Knife, he had no idea that he had just invented the symbol of Swiss ingenuity for generations to come. As a Master Cutler, he was only doing what came naturally. 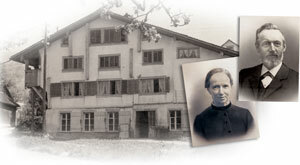 Karl had opened his cutlery factory 13 years before in Ibach, a village in northern Switzerland. By the time he dreamed up the world's first pocket tool, his cutlery business was already booming. 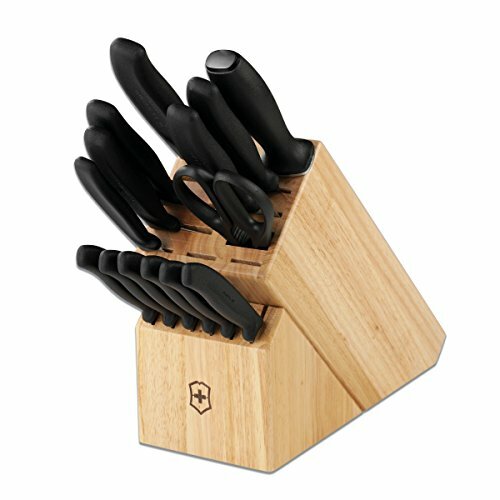 As it was then, Cutlery by Victorinox Swiss Army is today the first choice of professionals right down the line - as ubiquitous in the bustling meat-packing plants of the Midwest as it is in the gleaming, four-star restaurant kitchens of Midtown Manhattan. You don't have to be a professional to appreciate our beautifully balanced, perfectly weighted, razor-sharp tools. But you can now put them to work just the same. 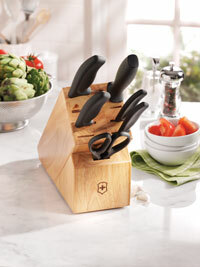 Victorinox Swiss Army has been handcrafting the finest blades since 1884. Knives: 3.25" straight paring, 4.5" serrated utility, Six (6) 4.5" steak, 5" and 8" chef's, 7" Santoku, 8" bread, 9" steel, shears and hardwood block.